Think of some of South Africa's most gorgeous and successful women, like Melinda Bam, Rolene Strauss and Demi-Leigh Nel-Peters. Once you start learning more about them, you will discover that they have one thing in common... or one man that is, Werner Wessels! He has just turned 29, yet he can already brag with 5 Miss South Africa titles, a Miss World and a Miss Universe title, but bragging isn't part of his vocabulary. The former Pretorian who now calls Cape Town home is surprisingly grounded despite having achieved what few before him could. Global Beauties' Andre Sleigh got the opportunity to chat to South Africa's very own queen maker. Global Beauties (GB): Werner, congratulations on all your achievements. You have accomplished incredible things at a very young age. Tell us how your interest in pageants started. Werner Wessels (WW): Thank you very much. I am just really honored to have helped and assisted wherever possible. My interest in pageants started very organically. I remember watching the Miss South Africa Pageant ever since I was 3 years old when Jacqui Mofokeng won in 1993. I would run out of the room just before the winner was announced because I got such a fright when they announced the winner's name and everyone started cheering and yelling. That's my first memory and I have always just loved watching these women on stage. GB: This could not have been an easy journey. You have managed to carve out a career for yourself that did not really exist in South Africa. Tell us about some of the challenges you have had to overcome to get to the point where you are now. WW: I never even thought it would be possible to turn this passion into a career until I was actually in it and making it happen. The biggest obstacle that I have had to overcome was to let people understand that my intentions are pure and that I just want to assist and help and build up these women, so that they can be the best versions of themselves. I have always had the gift of making people see their true potential and realizing their own power. I wanted to provide this to these young women that were entering a competition that could make them feel very vulnerable. My job was to make them feel supported, understood and safe in that space. Also, having to persuade people to give me the opportunity to work in this field, take me seriously and to understand what I was trying to do has been a big challenge. Ultimately, it has been very rewarding... watching these women become powerhouses in their chosen careers after handing over the crown has made all the struggles worth it. GB: Do you consider yourself a stylist or a trainer? How would you define your role in the industry? WW: When it comes to pageantry, I consider myself more of a trainer/coach. In my everyday career, I am a stylist. I have decided to use fashion as my tool to empower women as I understand the importance of presenting yourself in a manner that will make you feel more confident. Global Beauties: Let’s go back to your very first Miss South Africa, Melinda Bam. Tell us about the relationship you have with her and how the two of you started working together. WW: I have been very blessed to have had Melinda as a best friend for 13 years now. We actually went to high school together. We always had this dream of her competing for Miss SA. When we decided it was time for her to enter, we would go shopping together and put together outfits. Because I had such a keen interest in pageants and have followed them closely, I started giving her some advice. (Laughs) But I didn't really know what I was doing at this point in a professional manner... it was just me giving advice as a friend, so we both figured it out together, simultaneously. We worked very well together and I think I was basically there for her as a support system and it grew into a professional relationship over time. GB: Melinda Bam’s victory started a kind of revival in the South African pageant industry. She was so incredibly popular and was the overwhelming favourite to win Miss Universe. Tell us about that first Miss Universe experience – the lessons you learned from it and also perhaps the way you dealt with the disappointment of things not going according to plan. WW: I am very proud of what Melinda achieved in South African pageantry and I do feel that she started a revival. From the get go, she said that she doesn't want to be "just" a Miss South Africa, but that she wanted to be a great Miss South Africa. That's how she tackles everything in her life and that's something I will always look up to and honour. Miss Universe was a great experience because we did it together. We had so much fun, even though it was a very stressful time. Once again, you watch these pageants for years and all of a sudden you find yourself in Las Vegas, interacting with people you have admired for years. It was a learning curve, too. With Melinda being such a favourite, I went in that night thinking that she was going to be crowned Miss Universe and then that didn't happen. I was SO disappointed because it was so close... my future was suddenly unclear and I thought it would be my only chance as I had not yet established a career as a coach. It was devastating at the time, but today I am grateful, because I don't think that at the time I would have been as strong if she had won on my first try. I would not have learned about disappointment and how to deal with it... and the importance of seeing it as a blessing rather than a disappointment. It has helped me to remain level-headed in my career and I learned that the game isn't over until the crown is placed on the girl's head. GB: Then Rolene came along and she was pretty much unstoppable at Miss SA 2014 and later on at Miss World. Many people do not know that she was in the top 5 the year Melinda competed and you asked her to enter again. Tell us about your journey with Rolene. WW: When Melinda competed, she told me about this young girl that was wonderful and just the kindest soul and someone who supported her as well. That night, I watched her on stage and she was incredible but I could see that she was still very 'green'. After Melinda won and I finally stopped crying (laughs), I went up to this young girl, full of bravado and with a lot of confidence, I told her that she must come back in two years and I'd help her. Having helped Melinda and Marilyn Ramos (Miss SA 2012) throughout their reigns, I feel that I was even better equipped to guide her. With Rolene, I tried to give her the knowledge she needed the second time around and to make her appear fresh - one of the things when you return is that the judges might compare you to your previous self when you entered the first time - opposed to comparing you to the other contestants. She had to be a completely different woman who had grown in the two years since her last stint. She just responded so well to all the advice I gave her, all of the tips and knowledge... she was just the best student and she became a partner... today I consider her as one of my very best friends. GB: And the Miss World win? WW: I have to say, never in a million years did I ever expect to have one of my contestants win Miss World. It doesn't even come into your frame of reference because it's just such a huge honour and achievement. It had also not happened to a South African girl for 40 years. It had not happened since Anneline Kriel (1974), who is such a big celebrity, icon and idol to South Africans. So, you would never think that you would have someone who would get on that same level. I never, even in my wildest dreams, thought that Rolene could realistically win even though I knew she had the potential. I just thought these things never happen... so when it did, I was absolutely flabbergasted and so honoured... and just so proud to have played a role in her journey. GB: You were Rolene’s stylist during her year of reign. Tell us what it was like dressing a Miss World, perhaps highlighting some of the joys of doing it, your proudest moments and also the challenges you faced. WW: Yes, I was... and let me tell you, it is VERY different dressing a Miss World compared to a Miss South Africa! You have the whole world's eyes on you and there's so much pressure that comes with that and also logistically. With Miss World traveling all over the world into different seasons, cultures, time zones, it can create a bit of a chaotic atmosphere. But with Rolene it was great. She's always so calm and collected and she understands how these things work. It was just wonderful to dress her and I am very proud to say we did not repeat an outfit once throughout the whole year, which I consider a feat! Knowing that I could dress her throughout her year and come up with something different and unique each time, yes, I see it as a feat. Also, having her feel as confident and comfortable and empowered as she could possibly be as Miss World was wonderful. We had some of the greatest moments. For her first trip, we packed two suitcases FULL of clothing - over 60kg and I started three weeks in advance. By the end, we both became so comfortable in knowing what she needed (with baggage allowance as well) that we would take a few things, put it in a suitcase and drop her off at the airport. That will always stay with me... how we did everything so meticulously as if she was competing again for her first trip but eventually becoming so comfortable with it all. The challenges were definitely there, too. Trying to appease everybody and keeping everyone happy, those were the real challenges. With some flights being rescheduled or rebooked, we sometimes had four hours to get her packed, ready and off to the airport where she had to be three hours before, so those times were quite rough but in the end it made us stronger. We would just listen to Taylor Swift in the car and just have so much fun together... those are the memories that will always stick with me. GB: You also helped 2015 winner Liesl Laurie and 2016 winner Ntandoyenkosi Kunene to their victories. Did you ever believe in your wildest dreams that you would churn out one Miss South Africa after another? WW: It was never my intention to become this person that would just create Miss South Africas. That was never the goal for me. I just always met these women and I saw something very special in them and wanted to help them. I saw their hearts and heard their stories about what they could contribute to our country. That is why I wanted to give them that confidence to get to that level, so that they could show who they were and bring something different to pageantry and build careers from there. I think it was God's way of putting them on my path to help them become the best versions of themselves. GB: And then came Demi-Leigh, of course. Your relationship with her goes way back. Would you mind sharing how your journey together started? WW: I met Demi when she was only at 16 years old at a photoshoot, one of her first as a model. I just saw something very special in her and I don't exactly know what that was... I guess it's the X factor... but also that face was just undeniable and then her personality, she was just so sweet. We kept in touch. She was still in Grade 10 and we stayed in touch throughout her schooling. She would keep me updated on how things were going. We always had this plan that when she turned 21, she would enter Miss South Africa. She always kept that as a goal and I always knew that she would be one of the girls I would train one day. Remember, I met her when Melinda was Miss South Africa, when I didn't even know this was going to be my career. I just knew that I wanted to help this girl as well. 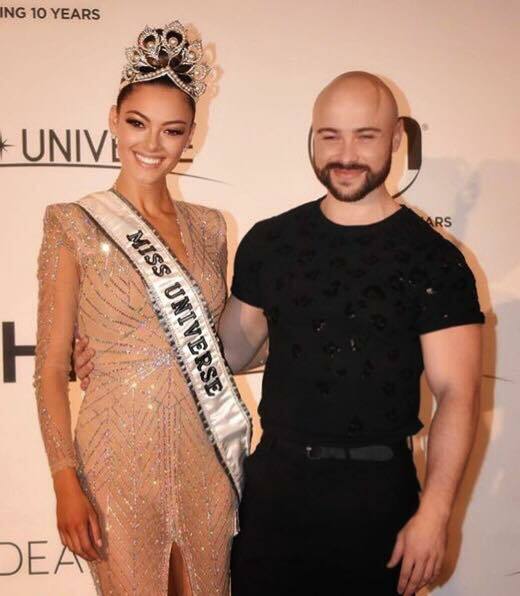 Global Beauties: Demi-Leigh was the overwhelming favourite to win Miss South Africa last year, especially among international fans, yet a storm broke out after her victory because she had an unfair advantage, you! How did that make you feel? Do you feel that you really are a secret weapon? WW: I can understand that people would have thought that it would have given her an unfair advantage with me having had four Miss South Africas at this stage. But I never had any contact with the organisation up to that point. I did it because it's what I love to do... I do wish that I could have provided that support to all the girls that entered. That was always something I wished I could have given to everybody. Because I was just doing this by myself, I could only take on one girl because it's such an emotional ride for me. They become so close to me and we build such a strong relationship that they feel like family to me. I get very emotionally involved and I think it's because I impart so much of my passion and drive onto these girls. It's really exhausting to enter Miss South Africa and also to support these girls. By the end, I am an absolute wreck... emotionally and physically. It felt really bad because my intentions have always been so pure towards the Miss South Africa brand as I witnessed what this platform had done for so many women and what it meant to me from a young age. I just always wanted to be a part of it. It's such a huge part of our culture. GB: As soon as Demi was crowned, she also became a major favourite to win the Miss Universe title. Sun International/Miss South Africa Organization then appointed you as her official trainer and co-stylist. What did you do differently this time from 2012? WW: I saw this as a second chance and after what happened in 2012, I didn't take anything for granted. So I worked incredibly hard with the Sun International team in order to really make sure that we had the best contestant possibly. I was so thorough in every decision I made and everything I taught her. We left no stone unturned and the greatest blessing has been to work as part of a team. It was great to see how everyone's gifts and contributions magnified what we were able to do. GB: And then you got your Miss Universe on November 26 last year. Where do you go from here? What’s next for you? We have heard about your new television show. What else can we expect from Werner Wessels? WW: November 26, 2017 will always be such a special date for me just like December 14, 2014 when Rolene won Miss World. It is something that is engrained in me and not just something that makes me so proud of what I have achieved. It also makes me so grateful for every single blessing, every single stumble block that's been part of my journey and that has made me stronger. I have a new television show coming out in South Africa that will be focusing on empowering women through fashion and giving the everyday woman the chance to be empowered. It will give me the opportunity to impart some of my wisdom and some of my knowledge that I have gained over the past 6 years of my career. I want to make every woman I meet feel like a queen because I do understand the power that lies in feeling confident and I know that women will take over the world one day... and they are probably on their way already. I just want to be a part of that. Werner's advice for women who want to enter pageants: Never try to be someone else because you will always be a second rate version of them. Don't take it too seriously. The judges are, like you, just human beings. Have fun with the experience. It's a celebration and should be enjoyed. GB: What do you believe is your biggest secret to success? WW: I would say it would be to always keep your head down and just focus on the work. Someone once told me that if you find your passion and if you get to do that for a living, you won't ever do a day's work in your life. And that's how I feel. Training and styling women for these pageants can sometimes be excruciating... it's 7 days a week, 18 hour days. Yet, I never get tired because it's such a passion of mine. My passion for this and the love of the WORK and not anything else has been part of my story and my success. GB: Where do you see yourself in 5 years from now? And even 10 years from now? WW: Oh, I have never been someone to make 5 or 10 year plans, because I never know what God's going to make part of my journey. 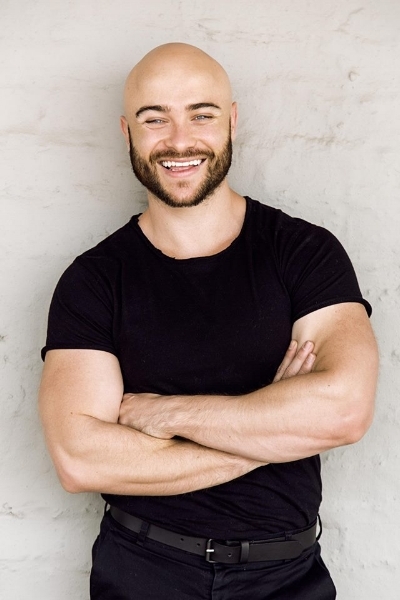 I just signed with the Miss South Africa Organisation (GB: Werner has just been appointed as the Creative Director for Miss South Africa) so that I can train the girls as part of the official joureny to the Miss South Africa final. Now I can help all the contestants. I really look forward to doing that for the next few years and seeing what we can do with this platform and, hopefully, take it to greater heights. I also hope that I get to do this and live my passion on a global scale overseas. The end goal is New York. I don't know what or when (laughs) but I know it is something I would love to do. Werner on pageants: Pageants should be fun and inspirational. It's not something to be taken too seriously. It should serve as a platform to remind someone that you can be whoever you want to be if you are willing to put in the work and dedication. It should remind every woman that her dreams are valid and that you don't have to be someone from an affluent family to get somewhere in life. GB: Do you believe there is still a place for beauty pageants in today’s world? WW: More so than ever, I think that pageants have a place in this world. If you know anything about pageants, you will know that this is an empowerment platform. These platforms give voices to women who would never have had the opportunity to affect change in the world. With all the chaos and ugliness going on the world, it is very important that we must have these role models that can show how women can be active in their communities... how they can be fit and healthy and celebrate their femininity and beauty while giving to others. That's something the world really needs more than ever before. GB: What is one misconception about the pageant world or the beauty industry that you would like to clear up? WW: That it is very superficial! Of course, it's a "beauty" pageant and beauty does play a factor but who doesn't celebrate a woman's beauty and why should it be something negative? As soon as that hurdle is crossed, you realize that these platforms are about substance and showcasing how women can use their voices to affect change in their communities, societies and countries and on a global stage as well with all the money that has been raised through pageants and their charity drives. Also, with all the people that have been personally affected by contestants and by the winners, I think people should realize that it is so much more than the physical aspect of beauty. GB: Preparing a girl for a pageant is an emotional roller coaster. There is just no absolute guarantee for success. What do you consider the hardest part of the job? WW: The hardest part for me is to actually let them go and compete. When we prepare for the pageants, I spend as much time as possible with them and we do everything together. I impart all of the knowledge that I have gained over the past few years onto them and teach them how to do whatever they would need. Having to let go, I always equate that to a mother or father having to let their child go to school and write that test and not knowing what the outcome would be and if they would remember everything that you taught them. That's the hardest part for me... not being able to compete for them or going into the interview and answering the questions for them. At that point, I just put my faith in God, knowing that we have done everything and they are fully equipped to handle it themselves. GB: Do you only train South African girls or is the world your oyster? WW: As I previously mentioned, I do hope to one day do this on a global scale. Right now, I am just so excited to work with all the South African girls that will enter Miss SA and to really see what I can do with this platform. I truly believe in the South African woman. But one day... one day, I hope to be able to provide this type of encouragement and support to any and every woman who wants to enter a contest. GB: Well, we have obviously known each other for quite a while and I can tell our readers that despite all your successes and victories, you have remained the exact same person. I would describe you as humble, grounded and driven. Why do you think you have managed to stay that way despite becoming a very influential person in the industry? WW: Thank you for that. I appreciate it. I think that because I have known the hardships and the challenges, I don't take one moment or one victory for granted. Everything was paid for with a price. Also, knowing that God imparted this gift onto me and that it is my job to live that to its fullest potential and honoring Him has been the most important part for me. I have all of the struggles that any person should face and don't see myself in any sort of way when it comes to pageantry. I just love what I do and I have such a passion for it and I hope that I get to do it for as long as I possibly can. Werner's style tip: Always be true to who you are. Take inspiration from those who you admire but don't try to emulate them. Find your own style. GB: One of the things that excite me about your work and the reason why I call you the future of pageantry is your eye for what is fresh and current. You don’t just follow trends, you anticipate them and create new ones. I find this very refreshing in an industry that is not always that fashion forward. How do you combine fashion and pageants? And do you believe as much as I do that you can help to freshen up the image of the industry? WW: I really appreciate you saying that. I think, for me, it's just about trying to find new ways of presenting someone or competing. When you do compete for something, you need to show someone new, something fresh for them to pay attention. That's really important to me. I do a lot of research and I think all of my decisions are based on trends that have happened in the past and how I see them going forward. I take a lot of inspiration from the people that came before me, that I look up to and admire. I try to see how I can put my own unique spin on that, so not everything is as fresh and unique as I want them to be. It really is just about doing the research and seeing how you can change something and how you can spin it to make it new and fresh. I hope to continue doing that in the future. GB: Werner, it’s been an honour chatting to you on a platform like this. I hope our fans got the chance to get to know you a bit better. Do you have a message for the readers of Global Beauties?